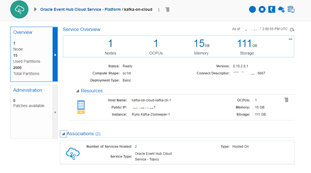 · Spring Cloud Stream and Apache Kafka Based Microservices on Oracle Cloud Abhishek Gupta illustrates how to run Spring Cloud Stream applications on top of Oracle Cloud using a sample app that consists of producer and consumer applications which communicate in a message driven (asynchronous) fashion. Read the article. · Getting Into Containers: Small packages. Big value. Community members talk about how containers — standalone, executable packages of code, runtime, and system tools — are making a difference in how they do what they do. Read the article. · Podcast: What’s Hot? Tech Trends That Made a Real Difference in 2017 What happens when you cram five highly respected software developers into a small room and ask them to go beyond the hype to discuss the technologies that made a genuine difference over the past 12 months? Listen to the podcast. · Video: Microservices and Cloud Driven Code Simplification Microservices enforce self-containment and platform neutrality. Clouds and containers come with additional configuration, monitoring, logging, and load balancing constraints. In this session video, Adam Bien codes an application with stock Java EE and presents approaches for code and bloat removal. Watch the video. · Video: SOA Skills Have Value in a Microservice World n the age of Microservices your Service Oriented Architecture skills are more valuable than ever. SOA architect Rolando Carrasco explains why in this 2 Minute Tech Tip. Watch the video. · New Features in Oracle Developer Cloud Service Check out new features for Kanban agile, code merging, updated build servers, and project management in the new version of Developer Cloud Service. Read the article. · Announcing the New Open Source WebLogic Monitoring Exporter on GitHub Now available on GitHub, this new tool exposes WebLogic Server metrics that can be read and collected by monitoring tools such as Prometheus, and displayed in Grafana. Read the article. 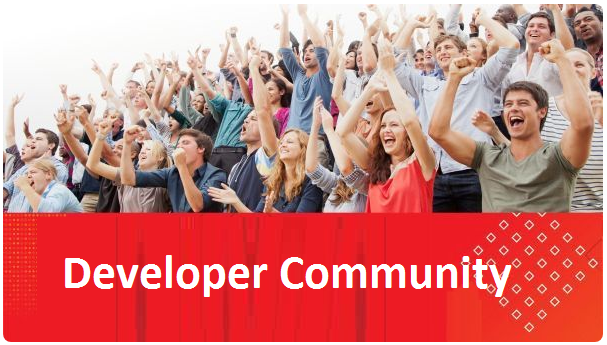 · Coming to Your Town: Oracle Code 2018 The 2018 Oracle Code event series kicks off in Los Angeles on February 27, then makes its way to cities throughout the US and around the world. Sign up now to be notified when registration opens for your town, and learn how you can submit session proposals. Get more information. · Read how SuiteBox built a financial services firm from scratch using Oracle Cloud on how they’ve benefitted from being associated with Oracle’s brand. Read the customer story on their cloud native approach. · Payscout, a global payment process company is counting on VR to boost international ecommerce using the Oracle Cloud Platform. Read the article. Watch the video. · AAR, a global aviation services company, shows that Chatbots aren’t just for born-on-the-cloud startups. Read the article. · UBI Banca chooses Oracle Security Cloud and embraces digital innovation, while addressing GDPR requirements from EU. Watch UBI Banca’s Chief Security Officer share how cloud offers great opportunities for security. Watch the video. · National Pharmacies keeps customers at the center of innovation. Read the article on creative ways its mobile app is run on the Oracle Mobile Cloud Platform. · Discover how cloud-based Carbon Inc breaks the mold and implements their first cloud implementation in just 3 months. Read the Profit Magazine article. · See how Trunk Club, an online personalized fashion service has used Oracle Apiary Cloud Service and APIs to innovate fashion design. Read the blog post. · iStudy Co., Ltd delivers a new eLearning environment to customers 5x faster, increases their sales, and reduces their data center operating costs with Oracle. Read the success story. · Watch the JavaOne Keynote highlights here. · Meet the New Application Development Stack – Managed Kubernetes, Serverless, Registry, CI/CD, Java. Read the blog post. · Cloud Foundry Arrives on Oracle Cloud with a Provider Interface and Service Brokers. Read the blog post. · An API First Approach to Microservices Development: Oracle in the modern age of application development – why we are building a microservices platform for the enterprise. Read the blog post. · Deploy your apps to Oracle Cloud using PaaS Service Manager CLI on Docker. Read the blog post. · Conversational UI: Be Ready for the Next Digital Disruption. Read the article. · Run The Numbers: How Chatbots Will Drive New Analytics Insights. Read the article. · Oracle Leverages AI to Push Enterprise Apps as Users Move to Cloud. Read the CIO.com article. · A Conversation about Oracle’s Chatbot Strategy with Suhas Uliyar. Read the article. · Learn how Exelon, the US’s largest utility company is innovating with chatbots for better customer connections. Read the article. · Hear from Suhas Uliyar of Oracle how customer engagement is being shaped in real time by AI, bots and voice-first devices. Read the article. · See a demonstration of Worker Applications on Oracle Cloud. Read the blog post. · Serverless: What is it and Why You Should Care: An interview with Chad Arimura and Bob Quillin of the Container Native Platform team. Read the Forbes article. · Watch this webcast to learn the Oracle Container Native Platform for modern DevOps driven application development based on Docker, Kubernetes, and the latest technologies for Microservices and Serverless. · Watch the video podcast: Floss Weekly Episode: 451 Oracle Open Source on microservices. · Oracle Visual Builder Cloud Service New Pricing. VBCS is now available on external compute prices by OCPU as part of universal credits. You can get it stand alone or as part of OIC. Learn more. · Creating an HCM Cloud Extension with VBCS and PCS: A demo scenario showing how to leverage Oracle’s visual development platform to extend Oracle SaaS’s HCM. Watch the video. · Reading Nested JSON Data from External REST in VBCS: Advanced BOP development for consumption of more complex REST services in Oracle Visual Builder Cloud Service. Read the blog post. · Exporting and Importing Data from Visual Builder Cloud Service – with REST Calls: Load and export data from Oracle VBCS business objects using the command line for easy data migration. Read the blog post. · Oracle Developer Cloud Service New Features for December 2017. Read the blog post. · Oracle Developer Cloud Service Pricing Update: Oracle DevCS is now a free foundation service with any cloud account using universal credits. A new SKU offers storage extensions. Learn more. Cloud and Java Cloud Service. Watch the video. · Seamless CI/CD for deploying Java EE 7 apps on Oracle Cloud. Read the blog post.